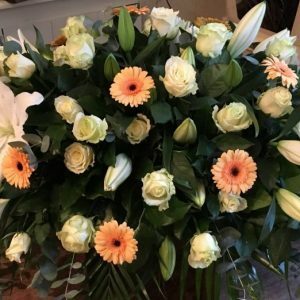 Saying goodbye to someone you care about is of course, not easy. 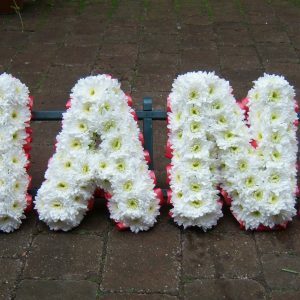 But it can often be extremely fitting to pay tribute by sending beautiful flowers. 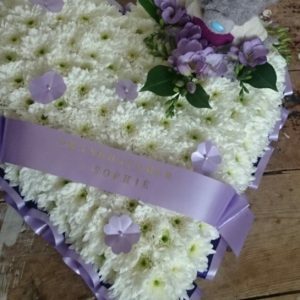 Often we are approached by families who request something special and more personal. 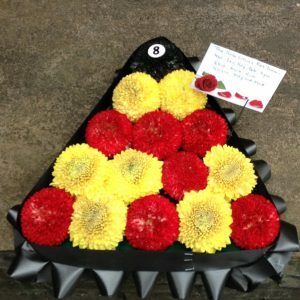 We have designed many bespoke pieces to help them express their ideas with flowers. 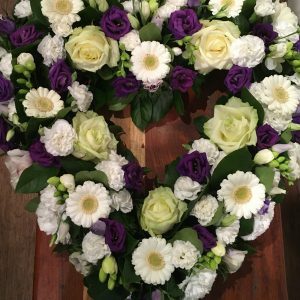 You might want to incorporate your own memorial objects into an arrangement, or add an unusual flower particularly loved by the deceased. 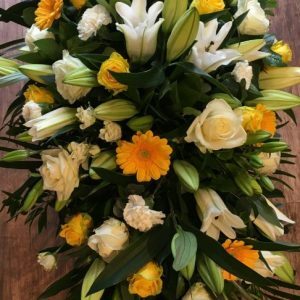 We are always here to help and guide you regarding bespoke personal designs. 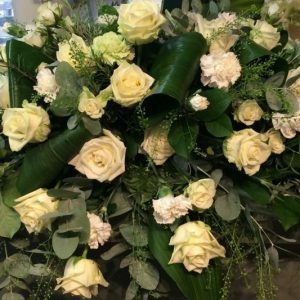 If you prefer to use one of the more traditional tributes at this upsetting time, our online sales and delivery service is a quick and secure way to assist you. 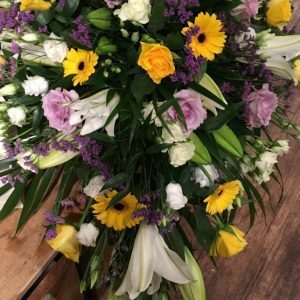 Alternatively you can give us a call to place your order or make an appointment to arrange a private consultation to discuss your personal needs. 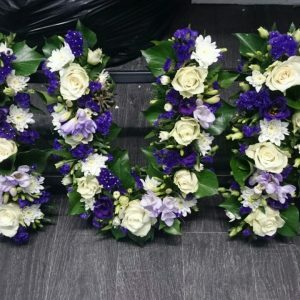 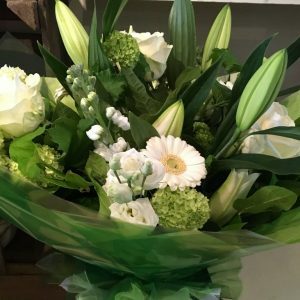 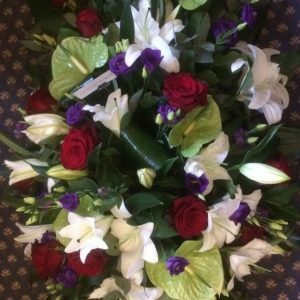 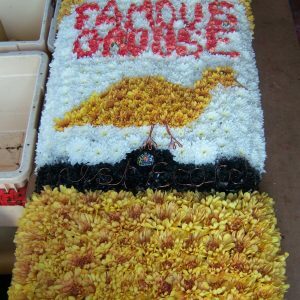 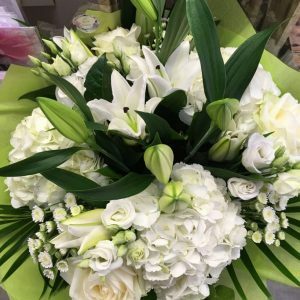 Funeral flowers etiquette tells us that it is more appropriate to send your floral tribute to the Funeral Director than to a home address due to the upset it may cause. 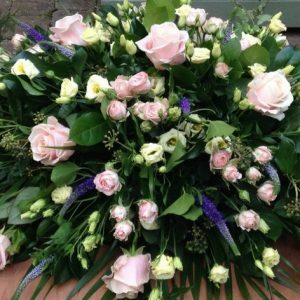 However, sometimes you may not know the details of the funeral; in this case, we will deliver to a home address. 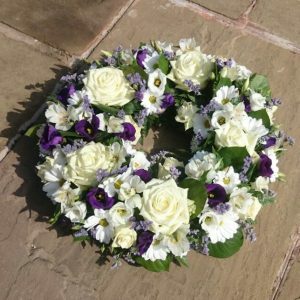 Deliveries to a place of worship or crematorium are not recommended (as there is often no-one available to receive the order). 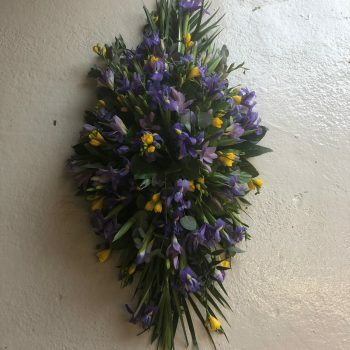 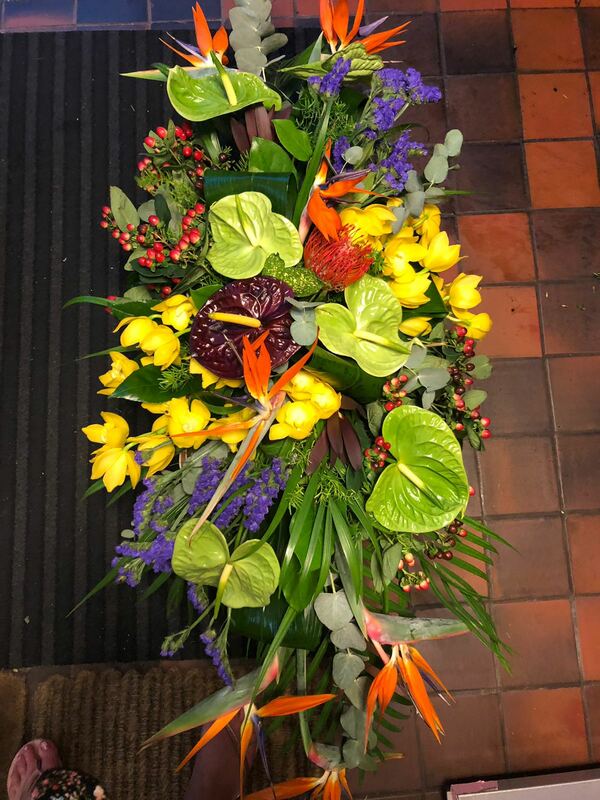 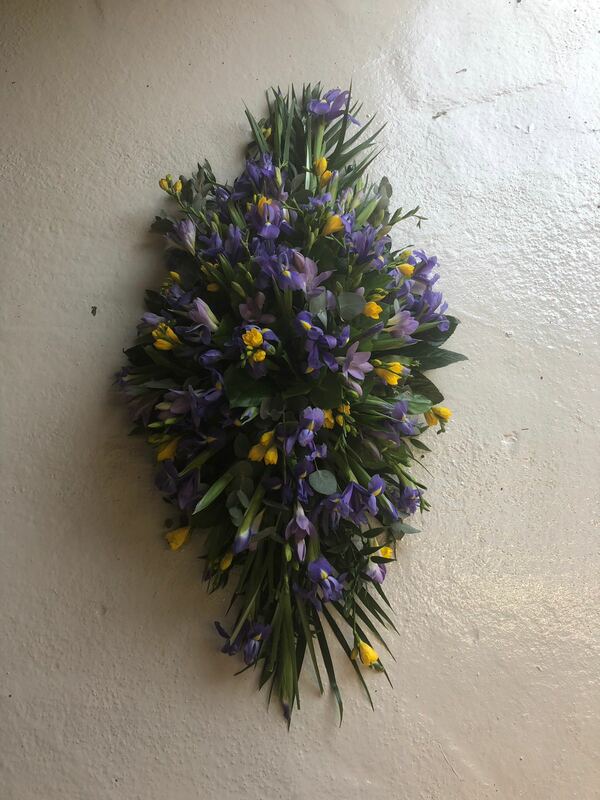 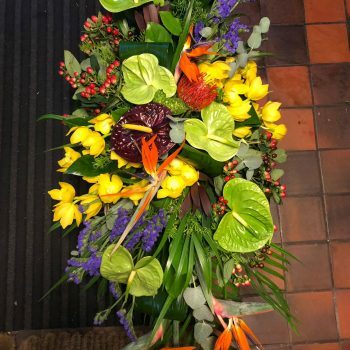 Whilst it’s always advisable to give us as much notice as possible, we are usually able to offer our funeral flowers with one full working day’s notice.